Wandering in the midst of deserted mountains and exploring the natural beauty of the desert is the most gratifying and fulfilling experience that one can have while enjoying a desert safari in Dubai. One does not only experience thrilling and adventurous feelings in a desert safari trip but also get to explore the dynamic area of beauty that showcases the Arabian heritage. Whether it is driving on the red dunes or falconry and witnessing the beauty of desert on a camel ride; a desert safari experience offers everything to the tourist. Certainly, a desert safari is one of the treasure troves that attracts the tourists from every nook and corner of the world to Dubai. Just for experiencing the desert safari, people tend to come to Dubai from all over the world. Undoubtedly, desert safari tour offers an immense amount of happiness and joy to individuals but sometimes people might have to face troubles and hassle in this journey. However, the majority of people encounter problems during their desert safari trip because of lack of awareness about the trip. For this reason, one must collect enough information about the desert safari trip in order to have a smooth and hassle-free trip. From dressing to eating, before going to desert safari trip one must focus on multiple things for having a trouble-free journey. However, for making your journey smooth, we have provided some tips that will certainly help in making your desert safari trip the best experience of your life. You might have noticed that the desert safari spots and places are more crowded in the time of winter season as compared to the summer season. Almost everyone prefers to going on a safari tour in a suitable season because going on a safari tour in intense summers can make you tired and sick. Thus, you must select the right time that suits you for going on a safari tour. 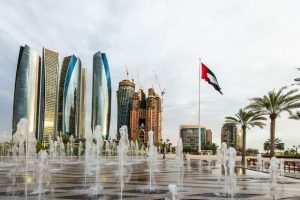 However, if you have planned your trip to Dubai in intense summers then, you can also prefer going on a safari trip in the morning or at night time. In this way, you will be able to enjoy your trip and have the most fulfilling experience in your life. In fact, going on a morning safari Dubai is the best way to make your trip hassle-free and enjoyable. For the purpose of protecting your skin from intense sun rays and scorching beams, it is mandatory for you to wear sunscreen while going on a safari tour. In this way, you will be able to prevent your skin from getting tanned and damaged.